First Garden. Our new gardening blog. Rows of crisp green lettuce, sugar snap peas dangling from a plant stretched beautifully up a cane and tall spring onions with stalks growing straight up to the sun. This is what a salad garden looks like. Now picture spring onion shoots bent by stones thrown by a toddler, a pea bush growing in 360 directions and rampaging lettuces squashed together in a pot that look like they are trying to knock each other over with wet leaves. The first is how I thought my garden might grow, the second image is reality. Luckily it still tastes amazing. Except for the time I got brave and didn’t wash the sugar snaps – I think there was bird poo on one. The result wasn’t pretty. In April I bought tiny rows of pak choi, kale, sugar snap peas, mint, spring onions, rocket and lettuces for a total of about £10. I snuggled the pak choi, peas and rocket into one huge container. It did say to plant them 10cm apart on the label but they were so tiny I thought it would be fine. I was wrong. In their new space under the sun on the south side of the house these little plants exploded. Lettuce grows fast. So do spread them out when you plant them. You need a little more space than you think you might but on the plus side you don’t have to spend £2 for a bag of salad at the shops because you can nip out to the garden instead. Our veggie patch is planted in a raised bed with a tall fence behind for shelter from the wind. Tatties and carrots are much cheaper than rocket and kale so with limited space I chose the plants that would cut the cost of the weekly shop and provide something green that isn’t pasta pesto. 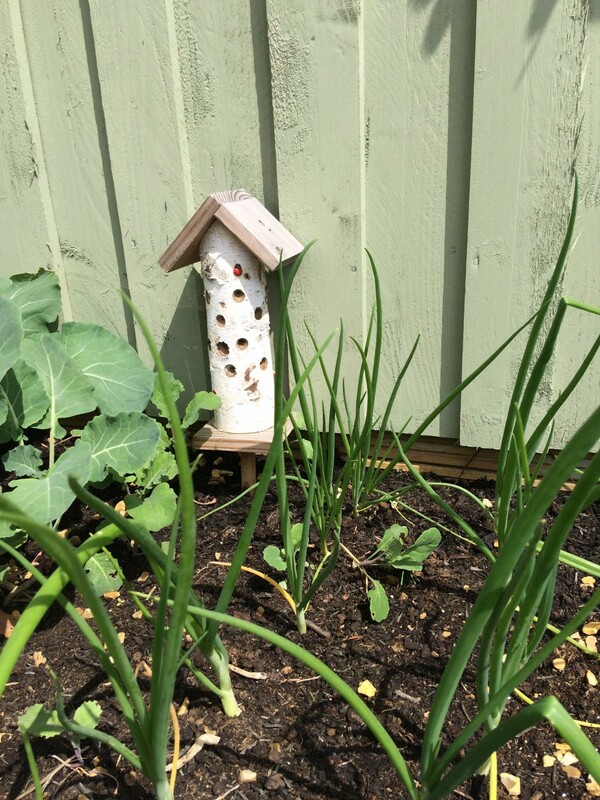 The veggie patch: Spring onions, broccoli, a ladybird house and a tiny self-seeded kale plant I’m leaving as a distraction for the slugs. To ease the battle for space I moved one of the sweet peas to a pot by the front door. The kids have taken to grabbing the pods before they climb in the car, I keep finding little mounds of half chewed green stuff then feel smug because it’s not Haribo. I rescued three of the weakling lettuces and put them a seed tray. Then it rained. A lot. The poor wee lettuces were almost drowned because I forgot to drill holes in the bottom of the tray. I say forgot, I actually never thought about it. Lesson learnt. Super wet lettuce is not happy lettuce – make sure the pots you use have drainage holes if you don’t want your garden to turn into a muddy mess. 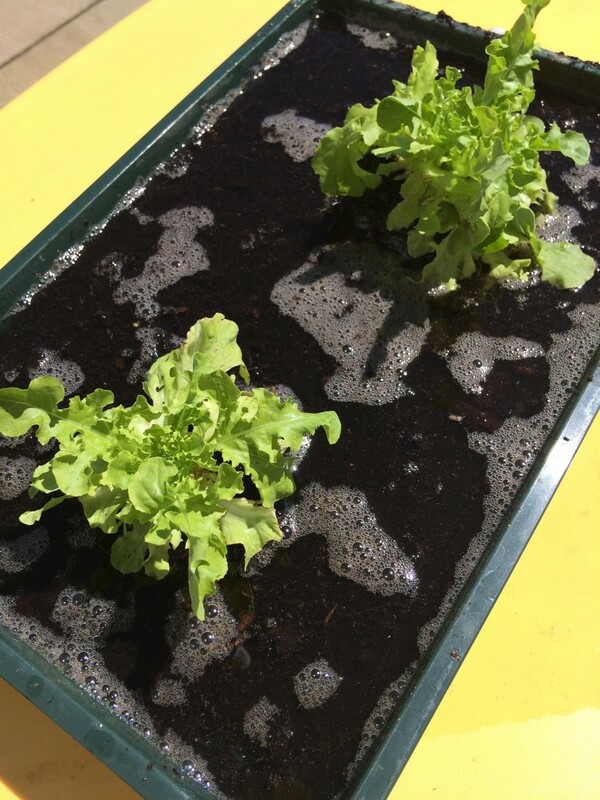 Drowning lettuce in a seed tray – do drill holes! As I tried to scoop the water out, my toddler tried to help. He is an expert at pouring stuff out of containers after all and he didn’t disappoint. In the time it took me to find a cup to scoop the water out he’d tipped the whole tray over the garden bench and put the garden hose on the seat to add to the fun. Yes, I let him play with the garden hose, yes I realise it’s probably not a good idea. The lettuces sailed across the bench on little islands of mud and plopped off the other side. We rinsed them off and ate them. They were delicious. I planted the salads in April, picked and ate their leaves in May and they went crazy in June. We haven’t eaten the rocket or pak choi fast enough so they’ve stretched and grown flowers. I only ever pick what we can eat straight away as the leaves tend to wilt quite quickly, this makes me wonder what is in the supermarket bags that last for days. A tangle of sweet pea, rocket and pak choi leaves and flowers in our crazy salad box. An excellent example of what not to do and why you should give your baby plants plenty of space. 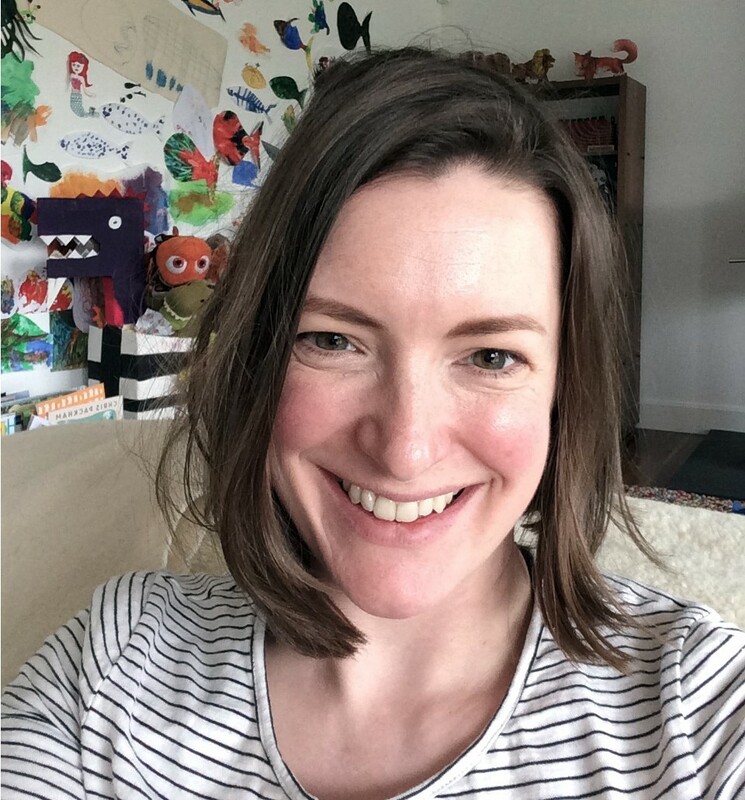 I admitted my lazy gardening to Carolyn at Pentland Plants who advised you should pluck the leaves when the plant is still small, that way they’ll keep growing back and last longer. If they do begin to grow flowers you just pull the heads off to encourage the plant to put its energy back into growing leaves. She also said that lettuce will be happy in shallow trays but it does need space so do give them room to grow. 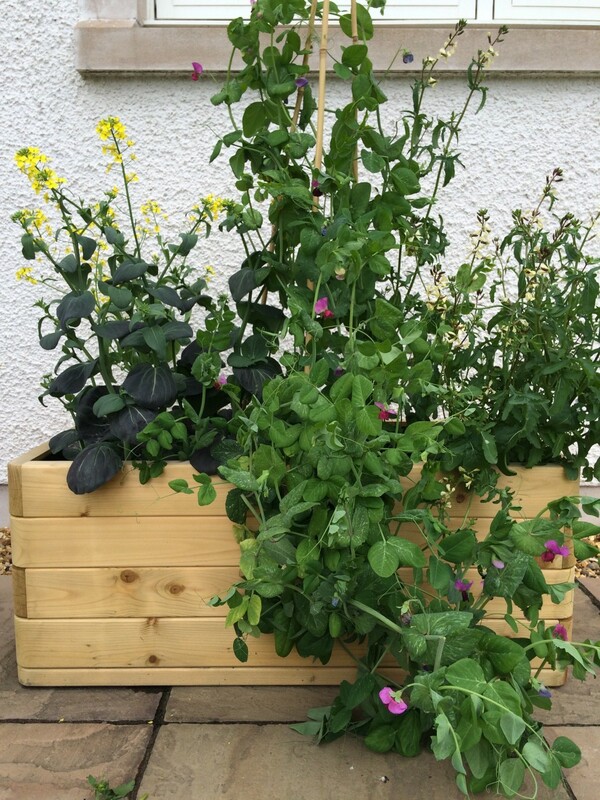 The spring onions, mint and kale are going still going strong in the raised bed but the peas, rocket and pak choi are now competing to grow the most beautiful flowers. Bumble bees have been feasting on the nectar and though our salad box is now completely out of control I quite like it. 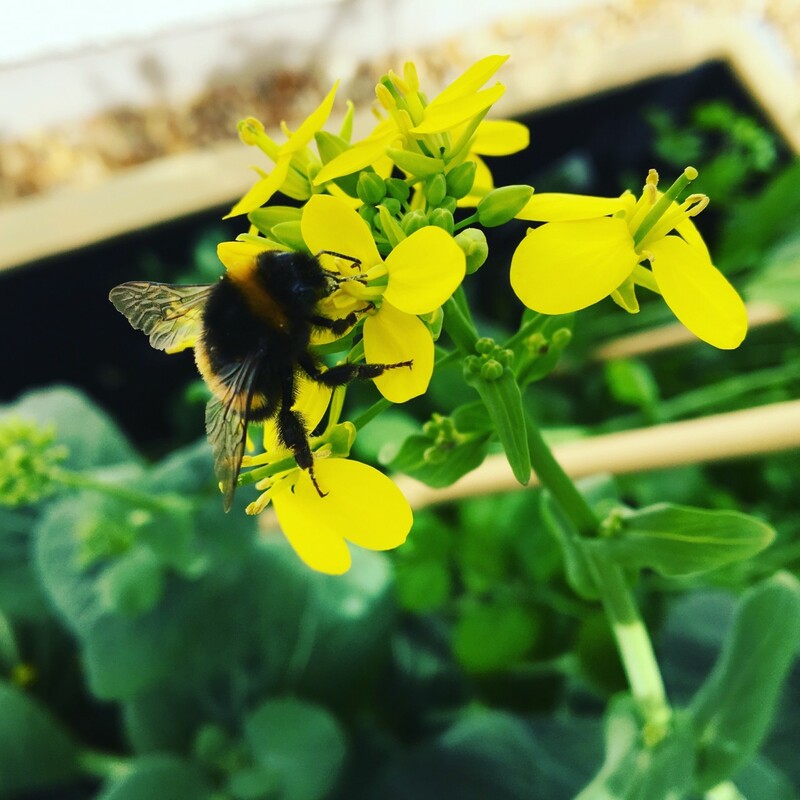 A busy buzzing bumble bee making the most of the pak choi flowers. Everyone who has ever been invited to my house for ‘lunch’ will openly scoff at the prospect of me sharing a recipe. I’m a bung it in and eat it as fast as possible type of cook which is why growing pak choi and black kale is wonderful. You pick it, wash it, chop it, chuck it in the pan with some garlic, oil and soy sauce then munch it. It’s as simple and delicious as that. My friend Lisa makes crunchy kale chips by chopping the leaves and frying in oil. You can also use it to make Kaleslaw in place of cabbage in coleslaw and apparently it makes a tasty pesto!